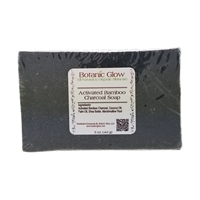 Botanic Glow offers high quality all natural and organic skin care for the face and body. All of our skin care products are free of; Synthetic Preservatives, Synthetic Fragrances, Parabens, Petrochemicals, Chemical Solvents, Irritating Detergents, Herbicides, Pesticides and Animal Testing. Our natural skincare line was created for those who want to look and feel their best without jeopardizing the health of their skin by polluting their bodies with toxic ingredients. Botanic Glow all natural and organic skin care products are designed to treat all skin types and are suited for all ethnic groups. If you want to rid yourself of acne, oily skin, dark spots or fight the signs of aging, our naural beauty products can help you achieve healthy clear youthful looking skin naturally. You will notice a difference after faithful use of any of our natural facial care, body butters, aluminum free deodorants or natural lip care products. We only use nourishing ingredients that will protect and repair the skin. Experience the healthy effects that only nature can bring. You truly can be naturally beautiful, just as Mother Nature intended.